Are My Glasses & Contact Lens Prescriptions The Same? “Are My Glasses & Contact Lens Prescriptions The Same?” So many of us wear either contact lenses or glasses. We rely on them to get us through our day. Some people love one over the other, whereas others switch between the two. What many of us might not know, is that all prescriptions are not the same. Prescriptions do differ for contacts and glasses. 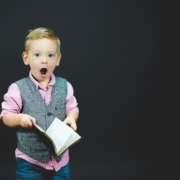 Read all about it in this week’s blog post! So Why Aren’t The Prescriptions The Same? After all, they are both correcting for the same issue? True. But, one sits directly on your eyes and the other one sits approximately 12 millimeters from your eyes. This difference requires contact lens prescriptions to include additional items like the brand type. Additionally, the size of a contact (or its diameter) must be taken into consideration so the lens fits properly on the eye. We won’t bore you with all the technical stuff that is involved with the two prescriptions, but it is important to know that there are differences. So the next time you are at your local Victoria eye doctor, you are aware and can ask the right questions during your comprehensive eye exam. 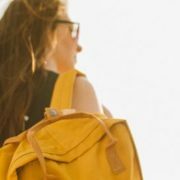 If you are interested in the technical differences, check out this cool interactive prescription pad from AllAboutVision.com here. Why Do I need A Contact Lens Fit? 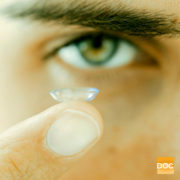 If you are wanting to purchase contact lenses from Inner Harbour Optometry, but have never been fitted for them. You will need to have an appointment for a contact lens fit. This is a separate appointment and can be scheduled after your regular eye exam. 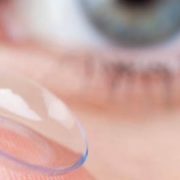 Because contact lenses vary vastly from one wearer to another, a contact lens fit will ensure you are being fitted with the best lenses. Things like your lifestyle will be taken into consideration. If you want daily disposables or overnight lenses. The shape of your cornea will also need to be factored. There are many different brands and materials from which you may be fitted. Being fitted with the wrong lenses could permanently damage your eyes. Not to mention be very uncomfortable to you. If you are finding that your contacts just aren’t fitting right, read this article for some insight, and don’t delay seeing a Doctor of Optometry for professional help. Did you know we can direct bill your extended medical for both your comprehensive eye exam and contact lenses? An eye exam is more than just a new pair of specs (or contacts). It is an opportunity to ensure your eyes are healthy. And it could help diagnose serious eye and non-eye related diseases or conditions. Find out more about what else an eye exam can uncover on our blog. Do you have questions about glasses or contact lenses? Give us a call or book online with Dr. Sharma! We love helping people see their very best! Do You Sleep With Your Contacts In! Learn The Facts! What Is An Optometrist Exactly? 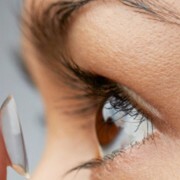 When Is My Child Ready For Contact Lenses? 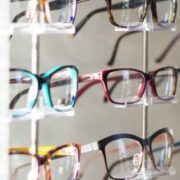 Which Type Of Glasses Lens Best Fits My High Prescription? Are You Using the Right Type of Contact Lens Solution?